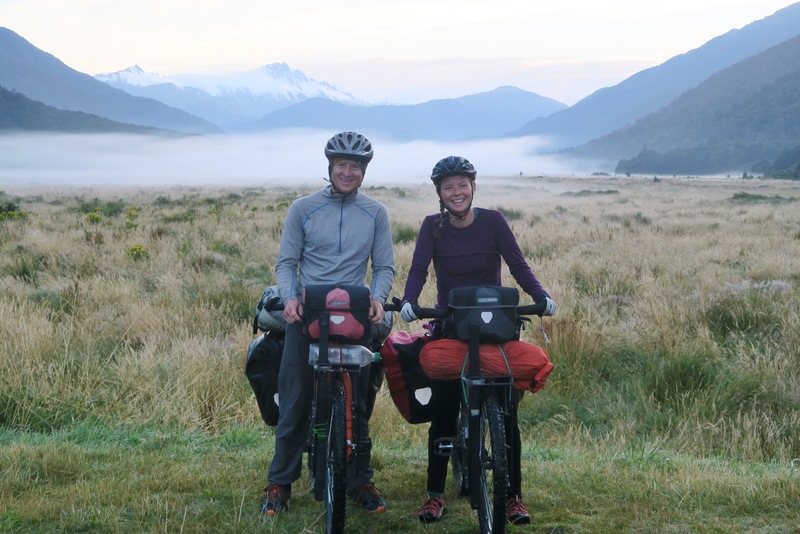 This entry was posted in New Zealand and tagged cycle touring new zealand, realities of cycling new zealand, why not to cycle tour new zealand by The Wandering Nomads. Bookmark the permalink. Thanks for sharing this about NZ. It’s obviously changed since I was there tramping for 6 months in 1986! Oh yes it has! Meeting people who were here in the sixties and seventies have described how it was more of the Wild West out here back then. Thanks for be honest it really helps others that are thinking into come or not, to really understand what is going on. We are cycling here also and we totally agree with you, almost same feeling in the north island, now in some days we go south island, let’s see. Nobody said about this reality to us, so thanks for share it, we will do same, it is not the place to travel by bicycle if you love free camp, nature and freedom. Thanks for the run down. I’ve heard this before about NZ. And when I mentioned it folks said, “No, the cycling is great!” I wonder what their standrds are. I know what mine are and dodging traffic is not omething I enjoy. I’m currently in Australia cycling and trying not to get run off the road. But it’s temporary here on the coast south of Sydney. Got a friend here and then it’s off to the interior. I just cycled the Baja Divide. Wouldn’t see a car for days. Lots of goats though. Yeah it for sure depends on standards. Most Europeans we meet (especially those from the UK or those who are not cyclists or who haven’t cycled toured much) say “wow this place is so desolate” because they are use to multi million people cities, whereas we, like you, would much prefer to see more goats than cars!! We will have to look up the Baja divide, it’s been coming up on our radar more and more now. Great blog post. I spent 6 weeks in a camper recently and experienced similar. I was shocked to find just how much tension there is between locals and freedom campers. I felt like a criminal wanting adventure as a responsible camper. Let’s clarify one thing too- I live in New Zealand! 6 years ago I lived South and moved north to then return for this road trip – so much has changed. Tourism is aimed at rich money spenders and dirtbags are now no more than mess makers. The thing is I experienced the hoards of campers who left rubbish, their poo and empty beer cans. I also experienced campers who respected the environment. Overall even as a resident I was dissspointed too. The days of heading outdoors with my son and lighting a fire and sleeping under the stars are gone. We are now criminals if we do this. Very sad. On a positive note – off season is fine for more space and peace. Also if self contained regions allow free camping. It’s just a real mess and nz is not doing to well anymore. Tourism is now a problem. The key issue nz faces with regard to the fact that it receives 3 million visitors a year is that there are only 4 million taxpayers to pay for the infrastructure required to support these visitors. Freedom camping does not pay for toilet/water/cleaning and all other costs associated with humans in remote places. And while some people are responsible for their own impact, most are ignorant of their environmental impact. I personally think that a declaration of intent (which requires honesty) at arrival into nz should incur a freedom camping suggested koha (Maori for donation) to help nz improve its management/support of freedom camping. Yeah I really like that idea. We are actually quite happy that New Zealand has mostly done away with free camping (well except for campers I guess) as we can only imagine the impact. It would be neat to see some kind of education/donations in place to. New Zealand if free camping were to be on the table again. place New Zealand, being such a tiny country, has done a great job coping with the amount of people we are just very surprised just at how many people do visit and the impacts we have seen because of it. Have you tried the DOC campsites? Yup! That’s where we typically stay! I am very surprised about this report and your experiences. 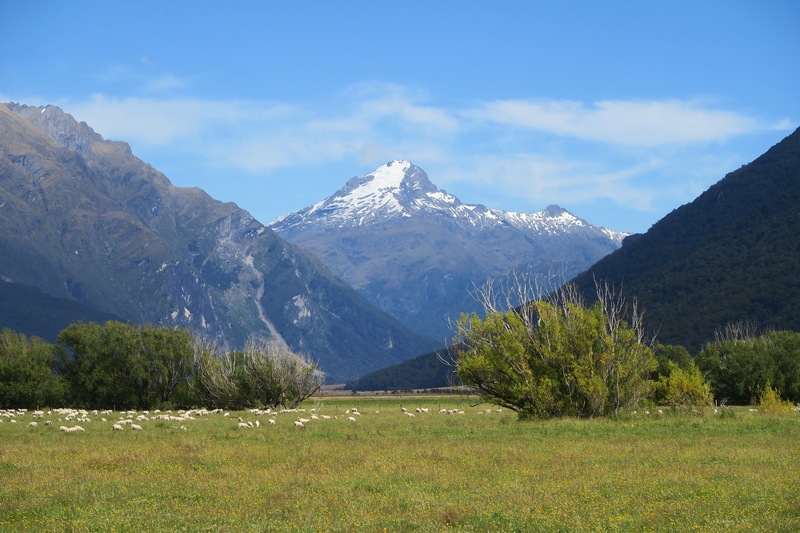 I cycled NZ in 1995 on a quite another different way (Auckland – Coromandel – Tauranga – Roturoa – National Parks – Wellington – Marlborough Sounds) and I followed some cyclist’s blogs in the presence, where I didn’t find such complaints. Maybe you chose the wrong route? Could it be that the east coast of Northern Island is quieter? I was more disturbed by mentioning the environmental degradation through the extensive agriculture and the erosion of the hills, which were all wooded before the European settlers conquered NZ. Yes indeed the east coast of the north island is much quieter! This post was more specifically about the west coast of the South island. I’m really sorry that you didn’t have the experience of this amazing country you were expecting. It’s an amazing and special place and given you’d made the effort to come here, it’s really sad that you were disappointed and frustrated. It does sound as though you were on the most popular routes at peak season which, whilst not exactly like visiting St Mark’s Square in Venice in July, is certainly busier and more crowded than many other parts of New Zealand for most of the year. We’re a country of just 4.4 million trying to pay for the same infrastructure (roads, power grids, water supply, education & health as well as tourist facilities), that other countries with far more tax and rate payers. We’re approximately the same land mass as the UK and California, but the UK has over 60 million people to help fund roads and other services, California has over 40 million, New Zealand has just 4.4 million people to cover the same stuff. How do we balance making it great for tourists with what we can afford. Would you be happy to pay a fee that funded separated cycleways in order to use them. To what extent are people prepared to help fund the experience they want to have? Definitely, and it’s understandable just like our US state and national parks that are very very busy I’m the summer. We have just been surprised how busy it is in between too, but like you said it is a small country accommodating a lot of tourism! I certainly don’t think it’s New Zealand fault, I think that’s just how it is and it’s great for cyclists to then know what to expect. I toured the North and South Island for seven weeks in 2000 and met some of the warmest,welcoming, and friendly people on the planet.I can remember some mornings cycling four hours before I seen a car,and this tour was all on the road.Once upon a time,New Zealand was a well kept secret,but clearly now that is not the case anymore.I don’t mean to be critical,but sometimes what works for me,doesn’t always work for you.What I’m saying is if your unhappy or it doesn’t meet your expectations,don’t be critical,move on.I cycled the Great Divide Mountain Bike Route and there is literally a couple hundred miles of paved roads and even some Interstate travel,not exactly the mountain bikers paradise that your describing. Totally, and I know lots of people will love the country but judging by the amount of cyclists we have met down here who are unpleasantly surprised I also wanted to share our honest thoughts, especially along the west coast. Also we too find the kiwis extremely warm and welcoming! Oh the campervans! I hear you on many of these points, having spent a couple months (Nov/Dec) touring/bikepacking the south island this past year. It is hard to put backcountry routes together, so we had different expectations and started doing tramping and other things. Life got a lot better for us when we really dug into the ‘freedom camping’ definition. Even when freedom camping is banned you can still camp 200m from any road, and 200m from any ‘no camping’ sign. “Wild” camping (different than freedom) is allowed on most DOC land, and even national parks. We were able to find some nice places to free camp away from the campervans once we got a handle on what the rules really are. There are some great routes on the rest of the S. Island, too. Pretty much all of the NZ cycle routes are really good. Round the Mountains, Otago Central Rail, Alps2Ocean – highly recommended. Yeah we enjoyed the around the mountains route too! Some good free camping to be found. My Wife and I have just done a Mountain Bike holiday of the West Coast using a stationwagon to carry our gear and get to the locations we wanted to ride. I did see lots of Bike packers on the road and with the amount of traffic it definitely did not look they were enjoying themselves. You are right and I would recommend getting a van or camper and touring, it is much safer and a lot less stressful. We did Old Ghost Road, West Coast Wilderness trail, Dun Mountain, Rameka track, some of Queen Charlotte plus a few others and had an amazing time, there are definitely more Tourists in NZ but we were not inundated in the areas we chose to visit. Sadly riding a bicycle on our roads is dangerous and I certainly hope you guys stay safe and enjoy your further travels. Sorry to read that your cycling trip in New Zealand hasn’t been great. It seems you’ve worked out some of the reasons for that, but haven’t got the whole picture yet. Exploring New Zealand by bike has actually never been better, but you can’t expect to enjoy it in a traditional cycle touring way, as you’ve worked out the hard way. It’s not the 1980s any more. Timing and route selection are critical now. You chose a bad time for two reasons. First, February is the peak tourist season on the West Coast. Second, State Highway One has been closed since November due to a major earthquake, so a lot more people are driving down the West Coast – but that is temporary! I start the Tour Aotearoa event in late February so that riders don’t strike such heavy traffic down the West Coast. It seems strange that you make no mention of the West Coast Wilderness Trail, or the Maruia Saddle, or many other great cycling routes. I hope you didn’t miss out on them? You mention there being multiple trekking routes that are open to mountain bikers from April to December. This isn’t true. Apart from the Heaphy Track and the top third of the Queen Charlotte Track, what are you referring to? Furthermore, cycling in New Zealand between June and November is not great advice. It’s generally cold, wet, and the days are short. The best time for a long trip is late February to late May. We have more cycle trails here now than you could possibly ride in a three month visit, and more being built all the time. But bikepacking and careful timing is the best way to enjoy them. That’s why bikepacking is booming in New Zealand. There are many experienced riders who shake their heads when they see people cycle touring the way you are. We wish you were doing it differently and having a good time because we know it’s possible. You can see their comments on the Bikepacking New Zealand facebook page. Yeah we see now that it’s definitely great for mountain biking (bikepacking) and much harder to traditionally “tour through the country” on a cross country type of tour, and yes, we have realized seasons play a huge role! Unfortunately due to our jobs this is our only option timing wise, but for others I can see how the off season or shoulder season would make a huge difference. We did indeed do the wilderness trail (I’ve been slacking on blogging this trip..) and enjoyed it, as well as really enjoyed some of the routes up north, in the north of the South Island, and the around the mountains route which we just finished (there is now a really neat free doc site right after the ferry ride across from Queenstown!). Another random route we loved was the backroads from Picton to Blenheim which was quiet and beautiful! If we were to do this trip again we probably would have gotten a camper van or taken busses between the different areas and made it more of a segmented trip rather than the cross country sort of trip we are use to, in order to enjoy the mountain biking routes yet avoid the busy highways (and places without doc sites where you camp with 200 other people in a holiday park…). We are very impressed with much of the cycling infrastructure here and can tell New Zealand is investing a lot into mountain bike routes in various places across the country, and, like I said before, I think it would be beneficial for others to realize how many busy highways they will be on – and I do realize a few of the really busy roads aren’t typically like that by the earthquake moved traffic around – in between the routes following strictly the Tour Aoteraroa route as we (and many others we have met who followed the route to a T) were surprised by the amount of pavement involved after reading about it online. And I just wanted to add it has been great, we have really enjoyed our time and we have met so many really lovely people, it’s just much different than we were expecting. This was a really interesting and slightly sad post to read. I hiked in NZ over twenty years ago (and had recently written a post referring to that experience a bit) and absolutely loved it. It sounds like things have changed a lot, and there’s probably lots of reasons: accessibility, world population (there’s simply more of us moving around! ), Lord Of The Rings?! I feel lucky to have experienced it when I did. 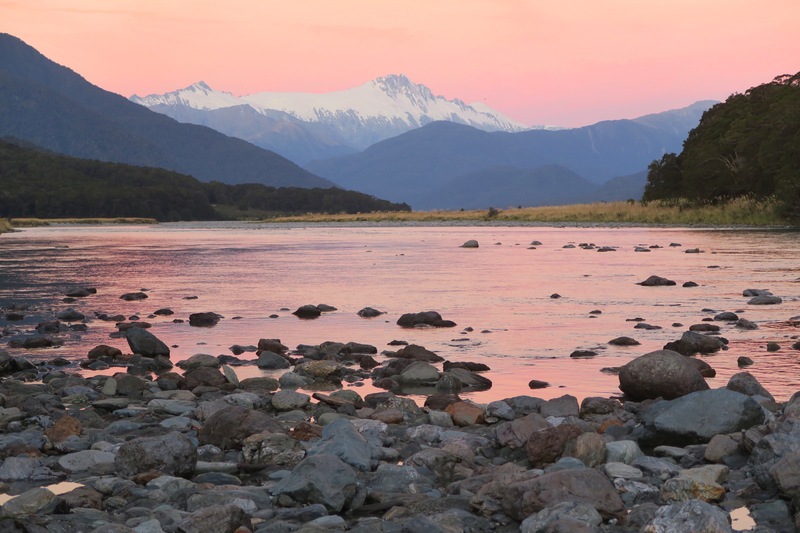 For us it was so quiet on the West Coast of the South Island that we couldn’t get a ride all day – we hitched a lot and were met with great kindness and generosity. It got so late we set our tent up in a grassy ditch and got up the next morning to catch the one bus of the day! We were there late in the season and were hiking rather than biking, but still…..Tricky situation, tourism must be a great boon to the country, but how do we avoid wrecking the place…..it’s an ongoing issue everywhere I suppose. A great post, thank you sharing openly. I think if people can read your advice, and the response of Jonathan Kennett they will be much better informed about how to enjoy their cycling holidays in NZ. Personally, I’m wary of cycling on roads in NZ. As you state they are busy and not always spacious. Some of the driving is terrible too. I, along with many of my friends, hung up my road bike in the interests of safety years ago. I hope you can find the time and means to visit us again in the future for a more positive experience. Sometimes things don’t work as we wish. I hope your frustrations didn’t keep you from seeing some of the glory in New Zealand. Not at all, as I hope you can see from our other posts we have had some really wonderful times and still have another month to enjoy as well. Lucky you. New Zealand is enchanting. Thank you very much for your constructive feedback. It is truly very helpful. I’m glad that overall you’ve enjoyed your visit to our country and have taken the time to highlight how your experience could have been outstanding.